Sold as a set of four, these antique corkscrew designs bring the art of wine to life. Resin sculptures are finished in aged brass and prominently displayed in bold, black shadowbox frames. What are the corkscrew shadow boxes made of? 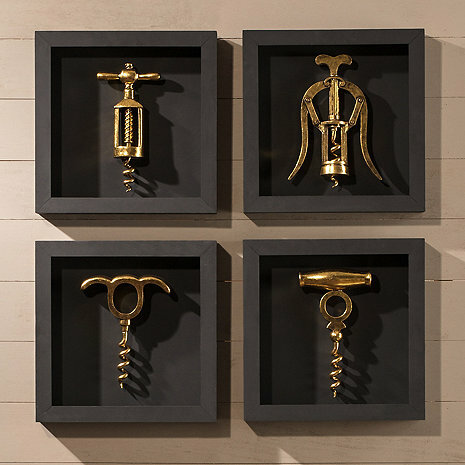 BEST ANSWER: The Corkscrew Wall Decor shadow boxes are made of wood.